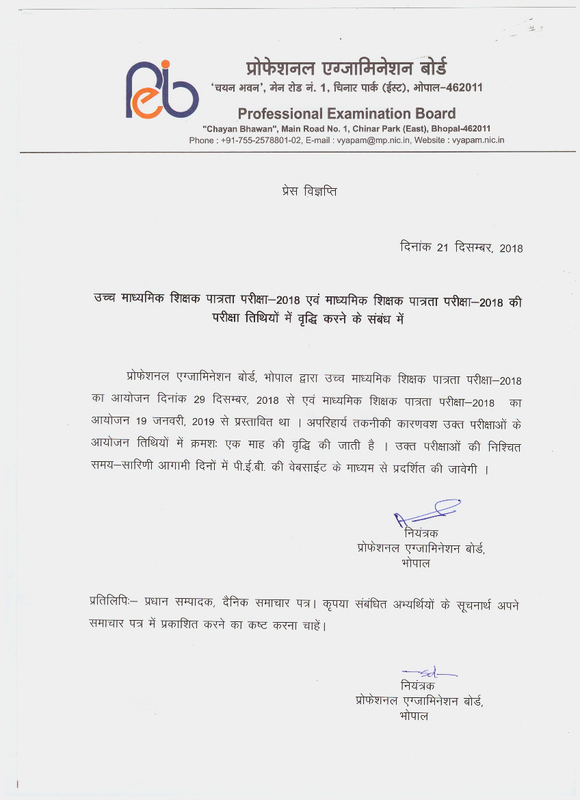 Short Information : Madhya Pradesh Professional Examination Board (MPPEB) have Recently Issued The Admit Card for Middle School Teacher Eligibility Test MPTET Exam 2018. The Candidates Who have Applied for the Exam can Download MP TET Admit Card. Payment of Exam Fee Through Credit Card/ Debit Card/ Net Banking/ MP Online KIOSK Fee Mode. Candidates Should have Bachelor Degree with Second Division in Related Subject and B.Ed Exam Passed. Read the Educational qualification Column In Notification For More Details. Bhopal, Indore, Ujjain, Jabalpur, Nicham, Ratlam, Mandsor, Riwa,Satna, Sagar, Khandva, Damoh, Katani, Sidhi, Chhindwada, Balaghat, Sivani & Khargon.